As cumbersome as dental floss may be, there’s no denying that it is easy to carry around. No matter where you are – camping in the woods, living in a hotel, or even visiting a foreign country – you can quickly and conveniently bring it with you. Even though water flossers make flossing a pleasant and straightforward process, standard models are not portable due to their large size. Fortunately, there is a solution that combines both the portability of dental floss with the effectiveness of a water flosser. Introducing, the cordless water flosser. 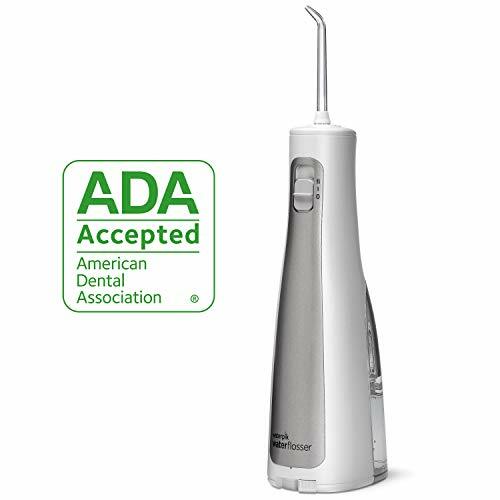 This review aims to help you determine the best cordless water flosser for your needs. Below, we provide an overview of what features you should look for, as well as recommendations of the top models at affordable prices. What is a Cordless Water Pick? If you have read our water flosser review, then you already know the gist of it. A water flosser is simply an appliance that utilizes water pressure to clean your gums and teeth. The difference between a cordless version and a standard one is simply that – there is no cord. Located within the main body is the water reservoir, and this compressing of the form factor is what makes it portable. Many pressure settings can be adjusted with the touch of the button to ensure a satisfactory experience. If this is your first time using a cordless oral irrigator, we recommend that you start at the lowest pressure setting, then slowly work your way up as you get used to it. Even at the lowest setting, you can expect plaque and food particles to get removed, though several passes may be needed. 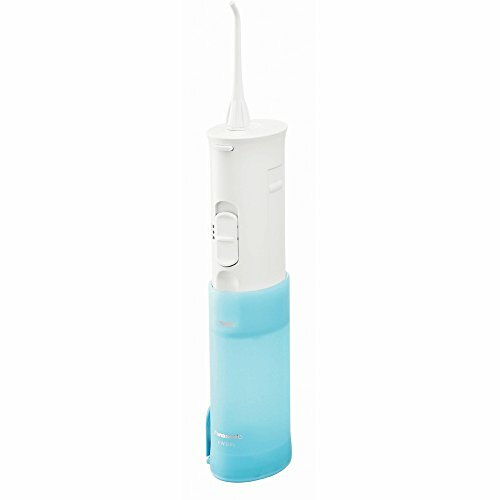 In a regular water flosser, the water reservoir and the pump connected to the flossing tip via the cord. In the case of a cordless water flosser, all of these components are stored within one body, reducing the size and making it much more convenient to take with you. We recommend you fill the reservoir with lukewarm water for the best flossing experience. Next, place the tip in your mouth over the sink. Make sure your head is tilted downwards, and loosely close your lips to reduce splashing. Press the power button and gently lead the tip around your teeth, making sure to reach all the nooks and crannies. The water pick will take care of the rest. Just make sure to charge the battery, because the pump will struggle to eject the water at the optimal pressure setting as the battery depletes. Which countries will you be visiting? If you want to bring a cordless water pick with you, then make sure the model has a charger with universal voltage, otherwise, bring lots of backup batteries if necessary. Just like any electronics, you must be aware of how much voltage the outlets will output, or else they may not work properly, or worse; they might burn out and cause injury. If you will be staying within the same country, then this is not an issue. Lastly, some models provide a travel case to help you pack. Most appliances you buy these days should have at least a one-year warranty, and this is no different. Sometimes you just get a faulty product, but this will give you the peace of mind that you can get a replacement. Depending on the model, you may be able to swap out the tips to suit your different needs. You must do your research to ensure there is compatibility between tips. Sporting two classic jet tips, an orthodontic tip, a plaque seeker tip, and even a nano sonic electric toothbrush, there is no shortage of extra goodies in this package. Plenty of features are packed into this tiny frame. It manages to squeeze in a water reservoir with enough capacity to last for 45 seconds of continuous use, which is unheard of among compact, cordless flossers. Additionally, dual pressure controls can be adjusted right on the handle and backed by a 2-year warranty for your peace of mind. Click here to read our full review of the Waterpik Cordless Professional WP-440. After listening to customer feedback, ToiletTree has drastically improved their oral irrigators. This model specifically has two interchangeable nozzles, a 360-degree rotating nozzle, and sports a 6 oz water tank. The rechargeable battery is built-in. All you need to do is plug-in the charger and use it once fully charged. A full charge can last an entire week of use, assuming one uses it twice daily. Lastly, the motor has been overhauled to be much quieter. All of these upgrades show that ToiletTree has heard your feedback and care about their customers. The EWJ-DJ10 is a highly portable H2O flosser capable of compacting itself to half its size, making it easy to carry with you when traveling. Not only that, but it is completely waterproof, so feel free to pour water on it and clean it thoroughly without fear of ruining it. 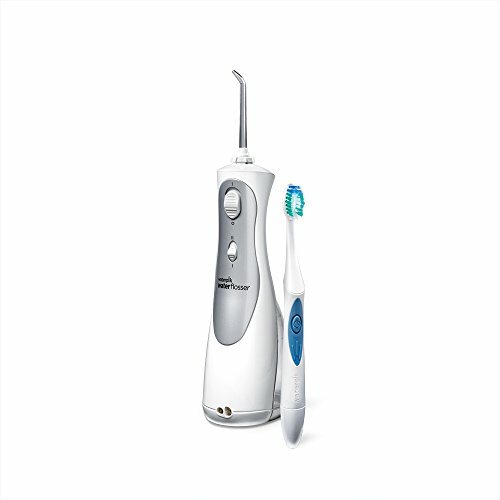 It comes with two speed settings, normal or low, making it ideal for people with sensitive teeth and gums or children. Even on normal pressure mode, it can emit 1400 pulses per minute for a powerful clean. To power the device, 2 AA batteries are required. This can be handy when traveling since you do not have to worry about universal voltage or charging it. However, if you do not like having to replace batteries, this may not be ideal. Contrary to what the product description says, users have reported that certain rechargeable batteries work on this model. Click here to read our full review of the Panasonic EW-DJ10-A Oral Irrigator. This water flosser requires 3 AA batteries to operate (included in the packaging), which can last you 1-2 months before they need to be replaced. 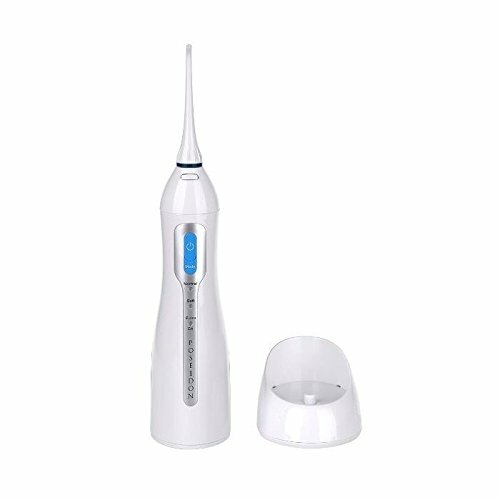 It is waterproof and provides three different flossing tips and two pressure modes. It has an easy to fill reservoir and comes with a travel bag. This can be quite useful to prevent leakage when you put it in your luggage. Since it is waterproof, you can use it even when showering. Waterpik’s WF-03 is highly recommended if you travel frequently and lack bathroom counter space. Click here to read our full review of the Waterpik Cordless Freedom WF-03. 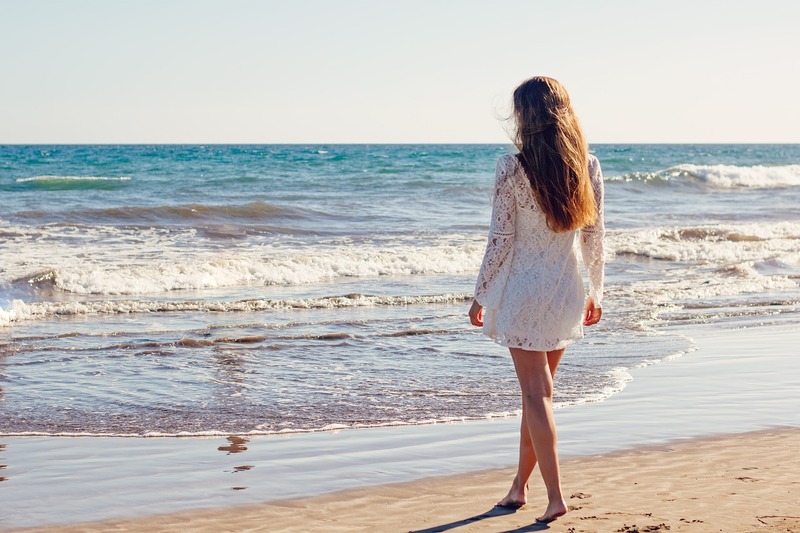 When you are out and about on vacation or for business, you want to be able to provide the same quality of oral hygiene as you would at home. By using a cordless water flosser, you can continue to reap the benefits of dental flossing with the convenience of a water flosser. We selected the above products based on the features you would want in a travel device: a wide range of pressure settings, compact design, universal voltage, good warranty, and excellent user reviews. Now that most of the heavy-lifting has been done for you, it is up to you to decide which one best suits your needs and fits your budget. If you are looking for the best water flosser overall, however, then you may have to opt for a traditional corded version.